If you've been reading recent editions you will know that Insights has become ... Life Coaching Insights! 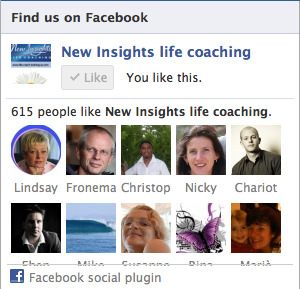 Life Coaching Insights is now a great new blog where you can find all your favourite articles in one place and where you can freely comment and interact with other readers and life coaches. Life Coaching Insights is still completely free and without obligation. If you'd like to remain subscribed in the longer term you will need to join our new mailing list by clicking on the link below (will open in a new window). Once you've successfully subscribed to Life Coaching Insights please unsubscribe from Insights using the link at the bottom of this newsletter. You will received an automated response asking why you have left - just ignore this. There are, give or take a few, some 7 billion people living on this planet right now. That's a staggering number if you stop to think about it. Even more staggering, for me, is the knowledge that each and every one of us is unique. There are no two identical sets of fingerprints or identical DNA compositions. Is this something we should curse or celebrate? Visit the blog to find out what I think ... and offer your own views.